(Kitco News) - Almost all commodities rose in January and that is an abnormal phenomenon, said Wells Fargo. This kind of broad-based rally is unusual as moves in different commodities are triggered by different factors and sometimes react opposite of one another. “Individual commodity prices typically react quite differently. This is because they have different buying and selling seasons. For example, North American corn and soybean prices often revolve around the planting and harvesting seasons. Typically, prices rise into planting periods (February-April), and fall as we near harvesting (August-September). In contrast, oil prices frequently ebb and flow based on the fill (spring/summer) and draw (autumn/winter) seasons,” LaForge wrote. This unique rally has given a much-needed boost to commodities in 2019, and Wells Fargo explains this overall move higher as being triggered by record net-short positions set in 2018. “Commodities are bouncing from oversold conditions late in 2018. Nearly all commodity prices fell in the fourth quarter—especially oil (WTI -38%)—as global economic growth was called into question,” LaForge explained. But, that’s not all. The Chinese New Year also needs to be kept in mind when it comes to commodity rallies, the note added. “China’s industrial production tends to slow moving into the New Year (January/February), and then reaccelerates for months thereafter. We have noticed that commodity prices, especially economically sensitive ones, often move with this pattern,” LaForge said. 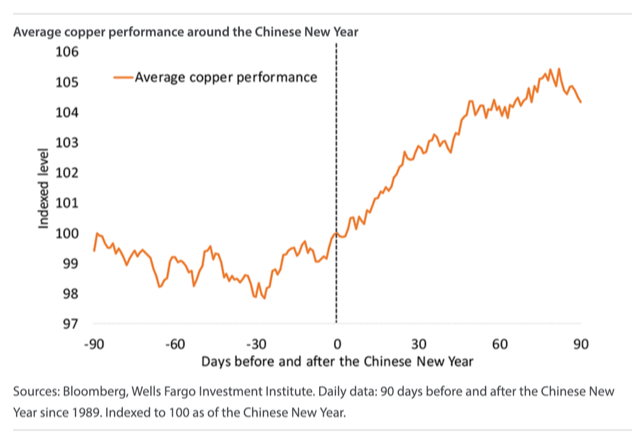 This becomes clear when copper prices are analyzed — the metal tends to rise as the Chinese Lunar Year approaches, Wells Fargo pointed out. 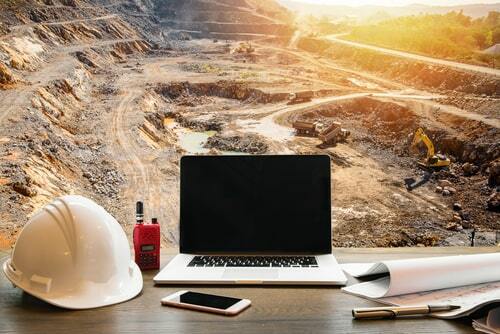 “Copper prices often fade for months moving into the New Year but begin rising as the New Year approaches, anticipating the industrial reacceleration that often follows the New Year,” LaForge wrote.